Michael Beck is a Reformed Baptist pastor in New Zealand. For some background, he has a great post on TGC called How (Not) to Plant a Church. Beck has a great podcast called Two-Age Sojourner. He is heavily influenced by Meredith Kline and that is reflected in the various episodes of the podcast (including an ongoing series with Chris Caughey called Meredith Mondays). With regards to covenant theology he is a bit unique in that he rejects the “20th century RB” view that the Mosaic Covenant is the Covenant of Grace and instead agrees with Kline that it was a typological covenant of works for life in the land. However, he also rejects 1689 Federalism’s view that the New Covenant is the Covenant of Grace. Rather, the Covenant of Grace is something distinct from every “exegetical” covenant in the Bible. From my listening you could perhaps describe his view as the 20th century RB view (that the previous administrations of the CoG included infants, but the New Covenant administration does not) with Klinean republication thrown in (Michael, correct me if I’m wrong here!). He subsequently had a follow-up discussion with Chris Caughey wherein he asked Caughey his view of the same questions. Just to clarify, I was not surprised or caught off guard by the idea, as if I hadn’t heard it before (Waldron makes this argument in his Exposition of the 2LBCF). Rather, I think it is a confusion. As was demonstrated in our discussion, after Pentecost Michael sees no distinction between the CoG and the NC. So the question is very simply the question of how the NC relates to the salvation of OT saints. Michael and others want to answer that question by creating a “systematic” covenant, called the Covenant of Grace, that is not mentioned directly in Scripture but is rather a logical deduction from the fact that OT saints were saved. I would simply say that conclusion flows from an untrue premise. I would argue that P2 is untrue (unbiblical), therefore the conclusion does not follow. The New Covenant was operative prior to Christ’s death (prior to its legal establishment). That’s why I provided the quotes at the end of the podcast from various paedobaptists, including Horton, denying P2. Most divines hold the old and new Covenants to be one in substance and kind, to differ only in degrees… Some Divines hold the old Testament, even the Law, as it was given upon Mount Sinai, to be the Covenant of Grace for substance, though propounded in a manner fitting to the state of that people, time and condition of the Church…. It was so delivered as it might serve to discover sin, drive the Jews to flie to the the mercy of God revealed in Jesus: but it was given to be a rule of life to a people in covenant, directing them how to walk before God in holiness and righteousness that they might inherit the promises of grace and mercy. Chris refers to this idea as “monocovenantalism.” Calling the Mosaic Covenant the Covenant of Grace is not monocovenantalism (they have used the label in that way in previous episodes as well). Monocovenantalism is the idea that the Adamic Covenant of Works was part of the single Covenant of God (which includes the Covenant of Grace). Michael seemed to dismiss the view of Bullinger, Calvin, Dickson, and Ball as some outliers (“the worst part of the reformed tradition”) who over-flatten redemptive history and are not sensitive to the changes in history. He said this is not a distinction between Kline and the reformed tradition but between Kline and a few of the worst. I want to make sure people understand that Kline rejected the majority view of the 17th century and that 1689 Federalism polemics are largely a critique of the majority view of the 17th century. As long as you think Ball’s view was “the worst part of the reformed tradition” held by a remote few, then of course you will dismiss and minimize 1689 Federalism’s criticism of it. To be crystal clear: My interest is primarily biblical, not historical. But this discussion did not begin with Kline. He adopted language and concepts used before him (even if he used them differently). We must acknowledge and properly understand what those concepts were if we are going to have any meaningful discussion of the issues involved. We can’t hermetically seal Kline off from the broader discussion. Abraham’s justification and the ratification of the Abrahamic Covenant are two separate events. The gospel was revealed to Abraham insofar as God promised that he would be the father of the promised seed of the woman who would come and bless all nations. Abraham believed that gospel revelation, and therefore he was justified. After that point God ratified the covenant, promising that Abraham would be the father of the Messiah. One of those things deals with the ordo salutis, the other deals with the historia. The ratification was that Abraham would be the father of the Messiah (historia), not that Abraham would be justified (ordo). Abraham was justified prior to the ratification. The ratification was not a means of Abraham’s justification. The ratification ceremony did not administer the Covenant of Grace to Abraham. The CoG was “administered” to Abraham prior to the ceremony when he believed the gospel that was revealed to him. So people are saved through revelation of the gospel, which includes the means of the Word spoken or written. Sacraments are not converting ordinances through which people are saved, though insofar as they are word pictures, they can proclaim and reveal the gospel to someone, and thereby play a role in bringing someone to saving faith. This is helpful in that it does pinpoint a difference in our views. 1689 Federalism does not believe that OT believers “accessed” Christ’s forgiveness through the animal sacrifices of the Old Covenant. Christ was not sacramentally present in the goats. According to 1689 Federalism and the Subservient Covenant view, Old Covenant sacrifices served an Old Covenant function separate from their function as types. God required Israelites to make sacrifices everyday and additional sacrifices on special occasions in order that God would continue to dwell in their midst and bless them temporally according to the terms of the Mosaic Covenant (Deut 28). If the sacrifices were not made, Israel would be cursed. If they were made incorrectly, the priests would be killed (and since the priests represented the people, the people would be cursed). If one became ceremonially unclean or committed certain sins, their flesh could actually be cleansed by the Old Covenant sacrifices. In short, the Old Covenant sacrifices were every bit a part of Leviticus 18:5 as the rest of Mosaic law. Note that the OPC Report on Republication rightly recognized that this was the Subservient Covenant understanding. Cameron put it this way: “The Sacraments, Sacrifices, and Ceremonies of the Old Testament did set forth Christ, and the Benefits by Christ; not primarily, but secondarily…but the Sacraments of the New Covenant do shew forth Christ primarily, and that clearly” (as translated by Samuel Bolton in his True Boundes, 399). Thus circumcision primarily signified the separation between the seed of Abraham and the rest of the nations and sealed to them the earthly promise. The Passover primarily signified the passing over of the destroying Angel. The sacrifices and washings primarily represented only a carnal holiness. Only secondarily did these benefits signify Christ. See also Owen’s commentary on Hebrews 9 and Samuel Renihan’s discussion of Cameron and subservient typology in From Shadow to Substance (p. 51, etc). [A]nything that functions as an “administration” of the covenant of grace must, in fact, administer grace to those who are under it. Such it is with the other types, ceremonies, and other ordinances delivered to the Jews. The administrative aspects of the old covenant were to function as the “outward and ordinary means whereby Christ communicates” to Israel “the benefits of redemption” (SC 88)… [T]ypology is a subset of the broader category of the administration of the covenant… According to our standards, typology is an aspect of the administration of the covenant of grace in the Old Testament, which in turn is described as the outward means of the Old Testament era for communicating grace to the elect of that era. Saving grace was not simply administered merely as a consequence or by-product of these types.275 Rather, saving grace was present by and in these types, and in this way communicated grace to believers.276 In terms of our confessional definitions, to say that something is an administration of grace means that grace is communicated by and in that thing. This seems to be the distinctive typological construction of the subservient covenant position, discussed above. Klineans attempt to accomplish this feat by separating the sacrificial system from Mosaic law. Chris said that “‘the law’ in Galatians 3 only refers to the commands, not the priestly system and the sacrificial system and all of that. That’s where you see the CoG run through the Mosaic Covenant is in the sacrificial system.” He made the same argument in 1/27/19 episode. Thus he retains Westminster’s sacramentology only by removing the sacrificial system from Mosaic law. But you cannot remove the sacrificial system from Mosaic law, from the Mosaic Covenant. In all honesty it seems very strange that that would even have to be argued. The whole thrust of Heb 7-10 is precisely that the sacrificial system was part of Mosaic law, the Mosaic Covenant. I’m happy to argue more thoroughly if someone wants to present an exegetical argument for the idea that the sacrificial system was not part of Mosaic law, the Mosaic Covenant (Chris mentioned Gal 5:21, but I think he may have meant Gal 3:20? I’m not seeing the argument, so if he would like to make it, I’d be happy to respond). I greatly appreciate Michael’s willingness to have me on to discuss these issues. I believe it has helped narrow the discussion. I would love to continue the dialogue as there is more than needs to be clarified and pressed (per the above). Kline did not simply adopt the subservient covenant view with modifications to eschatology. Rather, he adopted one aspect of the Subservient view but tried to mesh it together with Westminster sacramentology. I believe the result is contradictory and unbiblical. Hey Brandon! Thanks so much for your time on this brother. Also, I feel very honoured to be mentioned on this blog. As I said I’ve said a few times on the podcast, there is great content here, and I really appreciate your thoughtfulness throughout. Chris and I are on the same page, and we both meant something a bit different. Once again the issue has to do with this exegetical/theological distinction (along with the husk and kernel analogy). We would argue that ultimately/theologically, the ratification has to do with the CoG. But this only takes place through the exegetical ‘husk’ (Abrahamic Covenant). Added to the above, there are a few other points that I would want to work through (in terms of clarifying/disagreeing). But on the whole, fair game! Once again, I appreciate you brother. Thanks for your time on this, and your willingness to deal with the topic. Great post. If you’re keen, let’s keep talking! PS: I thought that this was an excellent pin-pointing of the issue, “1689 Federalism does not believe that OT believers ‘accessed’ Christ’s forgiveness through the animal sacrifices of the Old Covenant.” That is definitely a decent size problem for me. Once again the issue has to do with this exegetical/theological distinction (along with the husk and kernel analogy). We would argue that ultimately/theologically, the ratification has to do with the CoG. But this only takes place through the exegetical ‘husk’ (Abrahamic Covenant). I don’t know what that means. Can you clarify? There is a ratification ceremony in Genesis 15. Is that a ratification of the Abrahamic Covenant or a ratification of the Covenant of Grace? Yeah sure. Happy to. The ratification itself refers directly to the historical covenant (AC), but this so as part of a larger an administration of the theological covenant (CoG). Make sense? No, not really 🙂 It seems to me to be begging the question. Chris brought up Gen 15 as an argument against the 1689 Fed identification of the NC as the CoG. Perhaps this was because he didn’t adequately understand the position he was asked to respond to, and thus he was just articulating his own opinion, rather than an argument. But I fail to see how the mere fact that a covenant is ratified in Genesis 15 entails that the CoG is something other than the NC. Hmm. Not sure what you mean there. I’m only saying that I think there is a distinction between the historical/exegetical covenant (Abrahamic covenant /AC), and the overarching theological CoG. But certainly the AC is an administration of the CoG. So in that sense it the CoG itself is being ratified in Gen 15. That is why it is indeed relevant. Just double checked with Chris. We’re on the same page as far as I can tell. And what he is saying makes sense to me. Happy to try and clarify further if you’ll help me out. Sorry, I went back and re-listened and I had slightly mis-heard/mis-comprehended the first time. I understand better what he was trying to say. My response would simply be that Abraham’s justification and the ratification of the Abrahamic Covenant are two separate events. The gospel was revealed to Abraham insofar as God promised that he would be the father of the promised seed of the woman who would come and bless all nations. Abraham believed that gospel revelation, and therefore he was justified. After that point God ratified the covenant, promising that Abraham would be the father of the Messiah. One of those things deals with the ordo salutis, the other deals with the historia. The ratification was that Abraham would be the father of the Messiah, not that Abraham would be justified. Abraham was justified prior to the ratification. The ratification was not a means of Abraham’s justification. The ratification ceremony did not administer the CoG to Abraham. The CoG was “administered” to Abraham prior to the ceremony when he believed the gospel that was revealed to him. FYI, I revised the post above to correct my misunderstanding regarding Chris’ Gen 15 comment. Ok got it. Yeah I suppose its pretty much what we talked about before on the podcast. Thanks man. Appreciate it. On another note, a quick question: if the CoG is the NC, why would you want to hold on to the expression (CoG) at all? Especially if what is meant by it is so different from its normal usage in reformed theology. Seems a recipe for confusion. Am I missing something? Good question. Because what is meant by it is not so different from its normal usage in reformed theology. Recall the quotes I provided at the end of our discussion on the podcast. We affirm all that is meant by the majority reformed view’s understanding of the “internal” Covenant of Grace (note WLC 31; OPC WCF 17.2 scripture reference to Jer 31:31-34; WSC 20 reference to Jer 31:31-34 and Heb 9:15). The focus of Sam’s dissertation is to show precisely how the particular baptists agreed with the concept dogmatically (law/gospel distinction rooted in CoW/CoG distinction). They simply worked out inconsistencies in Westminster’s view with regards to the historical outworking of the covenants. Sam does a great job of showing the unity and diversity within covenant theology and showing where the particular baptists fit in that. Note that Kline saw problems with the traditional majority view and thus modified it. He rejected the “internal” CoG idea. Recall that he said that WLC 31 “leads to a definition of the covenant community (church) in Baptistic terms.” Kline also said “the Baptists argue against that Presbyterian argument that it doesn’t sound sound, and the Baptist’s are right there. Their criticism of the traditional Presbyterian argument is correct you know.” So we could ask your same question of Kline: why would he retain the language when he means something so different from its normal usage in reformed theology? I would say the answer is Sam’s answer: there is unity and diversity in reformed covenant theology. Indeed! Haha. That’s one of the reasons I like Kline so much! I suppose I see the benefit of his construal of the CoG in helping to explain things like Gal. 3:17. Also, I think it is important to understand how the promise was administered in the OT (I feel it is less complicated than talking about ‘retroactivity’). Also it contributes to highlighting the great sense of unity in the Biblical story (a distinctive of RT). I realise that you and I disagree on Galatians also (so you wouldn’t need the expression CoG to help you there). Added to this, you’ve said that you don’t have a sacramental understanding (so it’s of no benefit to you there either). Finally, it seems we are saying something very similar in terms of the application of the NC to the OT saints, but the expression CoG (in its typically understood, albeit ‘inconsistent’ historical sense) just seems to to cause confusion. Not trying to be facetious here; I’m just eager to understand why you would like to hold on to the term CoG at all. It is a 1689 forefathers heritage thing? You don’t strike me as someone that would give a ton of priority to that. Is it simply so as to make use of existing historic CT language? Or is there something else that I am missing? Thanks for pushing the question. I retain the language because I affirm the concept: our salvation in Christ is covenantal. All men since the fall are saved through covenant union with Christ. That is what the internal “Covenant of Grace” refers to. We affirm what is written in reformed theology on that specific point (just read Berkhof’s section on who the Covenant of Grace is made with for a brief survey). To reject the language would likewise make people think we reject that concept, which we don’t. What we reject is the concept of the external Covenant of Grace. We believe that is based on a misreading of the Abrahamic and Mosaic Covenants (and Rom 9:6). People are going to be confused regardless of what we say because covenant theology is a complex topic and people are always confused when groups disagree on the topic (just look at the current state of debate within Presbyterianism), so the fact that our affirmation of the Covenant of Grace confuses you isn’t a strong enough reason for us not to affirm it 🙂 Again, please review Sam’s book for all the important ways in which we agree with the concept. Kline rejects the internal Covenant of Grace concept (the part we retain). He seems to see the Covenant of Grace in strictly “administrative” (i.e. external) terms, in contrast to the CoR. So perhaps that is why you are confused as to why we would continue to use the term, since our meaning of the term (internal) has no correspondence to Kline’s use of the term and you’re looking at this all narrowly through Kline’s lens. Regarding Gal 3:17, I don’t think Kline’s reading is correct or helpful. I think it is self-contradictory (per my series). I think it is important to understand how the promise was administered in the OT (I feel it is less complicated than talking about ‘retroactivity’). it contributes to highlighting the great sense of unity in the Biblical story (a distinctive of RT). How does saying that Abraham was saved in exactly the same way we are, by the same covenant, take anything away from that unity? Thanks Brandon. Ok I think I see where you are coming from. And yeah I think Sam’s stuff is super helpful here. Just one more quick question for the sake of clarity: Even though I understand that this is not your ideal choice of language, would you agree that the internal CoG was administered throughout the various historical covenants of the OT? 2 LBCF 8.6. Although the price of redemption was not actually paid by Christ till after his incarnation, yet the virtue, efficacy, and benefit thereof were communicated to the elect in all ages, successively from the beginning of the world, in and by those promises, types, and sacrifices wherein he was revealed, and signified to be the seed which should bruise the serpent’s head; and the Lamb slain from the foundation of the world, being the same yesterday, and to-day and for ever. The internal CoG was “administered” insofar as Christ was revealed in promises and signified in types and sacrifices. That is, insofar as the gospel was revealed to OT saints, God making that preaching of the gospel effectual by the Holy Spirit. Ok. Yes, I see. And that sounds good to me. So, why not simply say that the CoG was administered in the OT? The term has numerous connotations, not all of which I affirm. It is closely associated by most people with the idea that various elements of the Old Covenant (circumcision, sacrifices, etc) were signs/seals/sacraments of the Covenant of Grace. I/we reject that idea. Either way we will have to qualify and explain ourselves. Either we use the language and explain what we don’t mean, or we don’t use the language and explain what we do mean. I prefer the latter. Just being sure we are on the same page. And yes, agreed (although I prefer he former). But that is very helpful I think. And if that’s what it comes down to on that particular issue, then it’s not a very big difference at the end of the day. If it just comes down to using or not using the term, but meaning the same thing, then I agree it’s not a big difference. However, Chris does not mean the same thing as me, so it is a bigger difference than just a choice of words. Chris does mean that circumcision, sacrifices, etc were signs/seals/sacraments of the Covenant of Grace. We don’t mean the same thing. So if you agree with Chris, you and I are not in agreement. Yes as far as I’m aware Chris would indeed follow Kline the whole way on that. Of course, being baptist I would differ there and instead side with the 20th century view (Jewett’s in particular). Sure. Kline/Caughey would see the CoG administered in the external sense (without allowance for internal/external distinction). I/Jewett would see the CoG administered in a typological sense, through the means of the AC (retaining the internal/external distinction). You/1689 Fed would also see the CoG ‘administered’ in a typological sense. But you reject the external, retain only the internal, and see it as a direct retroaction of the NC, rather than being administered through the means of the AC. How does that sound? Sounds like a fair summary. To push for further clarity in trying to understand in what way circumcision was a “means of grace,” do you believe circumcision was a sign and seal of the Covenant of Grace? On this we are back to the exegetical/theological distinction. I.e., I believe that circumcision was a sign and seal of the AC directly. But then, secondarily, the AC itself was a typological/pre-eschatological administration of the CoG. So, I would be on exactly the same page as Jewett/Malone on this. Pretty much the stock-standard 20th century view, you might say. In fact, I think that this is where their hard work within the context of wider reformed covenant theology really shines. I really don’t want to be annoying, but I just don’t know what that means. I’m not aware of any “20th century” guys really elaborating on this point (explaining how “administer” refers to something more than revelation and something less than sacrament). I’m trying to understand in what sense the AC was an administration of the CoG. Caughey says it was an administration of the CoG in the sense that the Abrahamic and the New are the same covenant and thus circumcision was a sign of the Covenant of Grace, along with the Old Covenant sacrifices. As best I can tell, you disagree with that. You want to say circumcision was a sign of the Abrahamic Covenant, and thus directly about typological things (physical offspring, land of Canaan, etc). What is the role of circumcision directly in the Abrahamic Covenant? What is the role of circumcision as a typological administration of the CoG? No, I don’t think Chris would say that that the AC=NC. I’m sure that he, together with most other adherents of reformed CT, hold to an exegetical/theological distinction too. Then re. question, . . . to me it sounds like you would appreciate Jewett’s book. Just checking: have you read it (‘Infant Baptism and the Covenant of Grace’)? Prior to the 1689 fed view, this has really been the main focus of the debate (one essence, different administrations / continuity vs. discontinuity). The role of circumcision in the AC was to create an external covenant community and point forward to the need for bloody rite (judgement ordeal) that removed the sinful flesh. As people believed in the Saviour to come, they were included through this means (AC covenant sign) into the CoG. I read it 10 or 12 years ago. Yes, I’m aware that was the debate. The argument was that kiddos used to be part of the administration of the CoG, now they’re not. In the Old Cov, some members were saved. Now in the New Covenant, all members are saved. I’m pressing for more detail and explanation than what I have read. Do you mind providing a page reference for Jewett on this specific point? By this do you mean a covenant community of Abraham’s physical offspring to whom the promise of the land of Canaan was made, the kingdom of Israel? Just clarifying what you mean by external covenant community. and point forward to the need for bloody rite (judgement ordeal) that removed the sinful flesh. Can you clarify precisely what you mean by “point forward”? I.e. it was a word picture that visually taught that the sinful flesh needed to be removed through judgment? As people believed in the Saviour to come, they were included through this means (AC covenant sign) into the CoG. Again, can you clarify what you mean here? Do you mean that as circumcision “pointed forward” to the gospel, and people believed the gospel that was pointed at, they were brought inwardly into the CoG? Or are you saying that being circumcised brought them into the CoG (inwardly, or outwardly)? How did circumcision relate to Abraham’s physical offspring? How did it relate to the promise of the land of Canaan? Did it mean anything regarding the status of the individual who was circumcised? If so, what? Yes it did. It meant that they were included among the seed of Abraham, and had access to the covenant promises both temporal and spiritual (if they believed). So the Abrahamic Covenant promised spiritual blessings (justification, sanctification, glorification)? No the CoG promises those things. The AC is the administrative typological means through which some in the AC accessed those promises. Well, thanks so much for the engagement on this topic brother. I’ve appreciated your time. Hopefully we’ve taken some steps forward in understanding the various points of agreement/disagreement. Perhaps it would be a good idea to let the dust settle and keep an ear to the ground for new thoughts/developments. Would love to have you on the show again to talk some more about it down the road. Will be in touch. Blessings! You said that being circumcised “meant that they… had access to the covenant promises both temporal and spiritual.” That sounds to me like either a) the Abrahamic Covenant promised spiritual blessings, or b) circumcision was a sign of the Covenant of Grace – but you have denied both, so I’m still confused as to what you mean. But thank you for the prolonged engagement! Ok yeah I feel like perhaps you’re not quite picking up what I’m saying, and so it we’re going in circles. But I’m happy to leave it there for now if that’s ok. Like I said, I’ll keep processing and hopefully when we talk again we’ll be able to make some more ground. Again thanks so much Brandon. Really appreciate you brother! Ok yeah totally. That sounds like a good wrap-up to me. So, where did you need more detail? (Just posted second answer above). But yeah, I’ve been meaning to back and give it another read again. Will do that as soon as a see a bit of a clearing (but don’t hold your breath on that 🙂 ). Sure. To the first question: yes exactly. To the second question: yes again. To the third question: yes (the first option). Sorry I see my replies are going to the wrong sub-thread. A bit confusing. Not sure how to rectify that. Thank you all for your conversations brothers! They are very useful and interesting! Hey Pascal, thanks so much brother. I really appreciate you and your ministry! I enjoyed the talk. Michael seems to be a nice guy and provides a soft environment for discussion. But honestly, with all due respect, it seems to me that Michael is the one who’s a little bit confused. I don’t think you can nearly agree with all Brandon is saying on the one day, then on the very next day second all that Chris is saying. I may be off the target, but it seems to me that this deep necessity for the “administration” idiom, which Michael brought back to the discussion, reflects the strive to spiritualize the Old Covenant, which, in itself, shows that little attention has been given to the temporal aspects of the covenants of old. Hey Pedro. Thanks for the kind words brother. And I think you’re right. Perhaps I should have made it clearer that I disagreed with Brandon up front. I suppose I was going on our prior conversations, and what he and I already knew concerning our disagreements. But this isn’t totally fair to the listener. I should have mentioned that I had him on the show, not to refute him, but to let him talk me through it, and begin the discussion. Also, I am very keen on understanding the 1689 fed view as closely as possible. I truly do appreciate it, and so want to give it the air-time that it deserves. So hopefully I’m not too confused 🙂 but I am sorry for the confusion this may have caused. If you are interested, stay tuned and hopefully we’ll arrive at some clarity (even if only re. our points of disagreement). I will definitely stay tuned, brother. Thank you for this clarification. My suggestion, though, would be for you to put Brandon and Chris for some real conversation. I thought the assessment episode rather loose and imprecise, since none had exactly what was said by Brandon. I’m all for clarity and a good talk. Taken on board. Thanks Pedro. Also, it might be worth mentioning also, that it probably would have been a bit clearer for regular listeners — they certainly get enough of my ranting about this. Brandon lists some of the relevant episodes in the post above. By the time I had the privilege of getting Brandon on, I wanted to try and make sure that I didn’t get in the way (as he explained the position). But again, that said, I hear ya! Once we’ve worked through this a bit more, it would be great to keep talking. 1. It sounds to me that 1689 Fed is using the term “New Covenant” to mean all that has been typically understood as the “Covenant of Grace”. 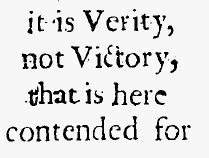 However, 1689 Fed wishes to retain the language of CoG so as to demonstrate unity with other reformed groups. Is this fair? 2. Does 1689 Fed view the Abrahamic Covenant as part of the “New Covenant”? 1. 1689 Fed agrees with reformed theology’s identification of the New Covenant with the Covenant of Grace. We simply disagree with those who also identify the Mosaic and Abrahamic with the New Covenant/Covenant of Grace. Retaining the language of “Covenant of Grace” is not merely to strive for unity, but it’s simply because we affirm the basic concept. I’d recommend watching the videos at http://www.1689federalism.com as a way to get started. Pascal Denault’s book is a great primer as well, in terms of comparing our view to Westminster’s. I’m happy to elaborate or clarify on anything, so let me know. Thanks Brandon. I’ll look into it. John Ball on Salvation Prior to Christ’s Death Abraham not Moses?